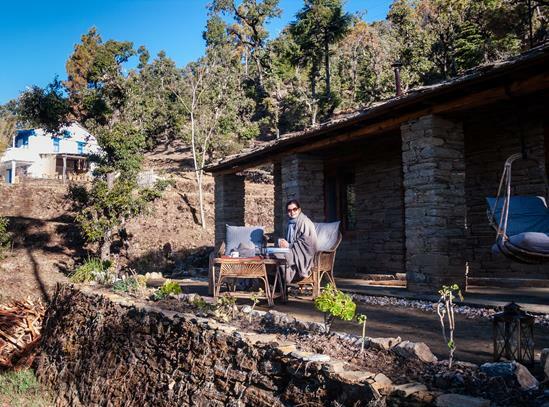 The scene is hypnotic with rhododendron trees in early bloom, their vibrant red flowers contrasting against the snow-capped Himalayan peaks, whilst neon green terraces dotted with tiny villages cascade down vertigo inducing valleys. 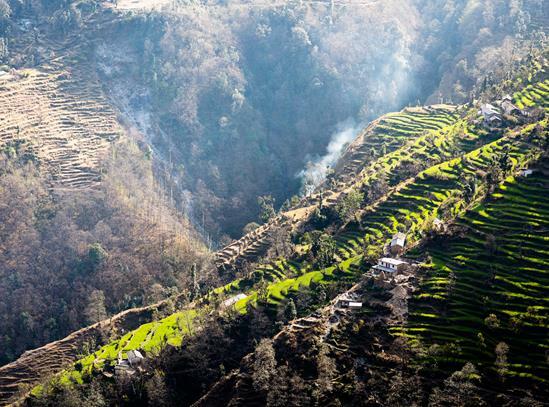 This was a daily event on the recent walking trip we (Julian and me) did in the little known but immensely pretty region of Kumaon in India’s northwest state of Uttarakhand. I’ve been to the Himalayas before - once as a student when I trekked on well-trodden routes between tea houses in Nepal (each stuffed to the rafters with backpackers), the other when I completed the Mount Jhmolari base camp trek in Bhutan where nights were spent uncomfortably under canvas (read about it here). But, this trip was different. This trip had us walking well off the beaten track - in fact the only western face we saw was an ageing hippy leftover from when the area was popular with the likes of the Beatles and Bob Dylan. An area untouched by tourism brought with it encounters that were fresh and authentic. And, as for the accommodation, it was supremely comfortable with not a teahouse or tent in sight. 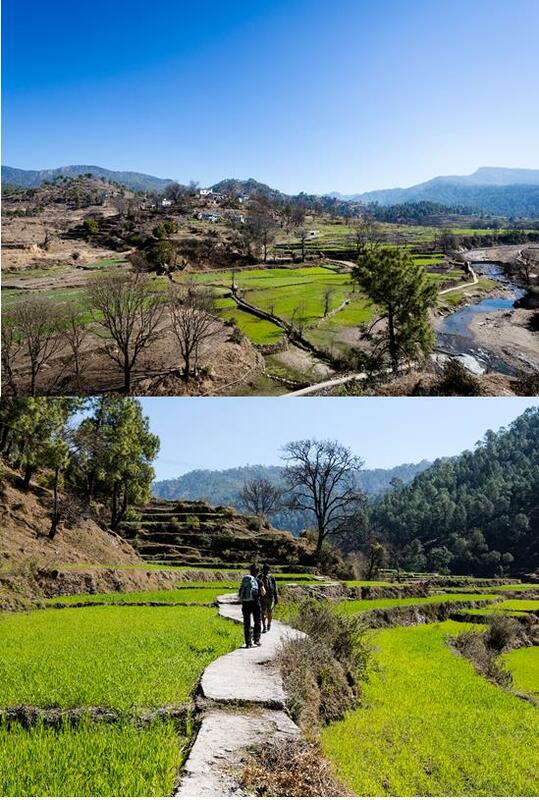 Days were spent walking with our guide from village to village through remote valleys and pine forests. The locals were warm and welcoming and were as curious about us as we were about them. Giggling children would run after us waving and shouting "Namaste", wanting to show us what they’d learnt in school and to see what they looked like on the screen of our camera. Then there were some stand out characters like the woolly hatted lady who had us in her shop in a flash, eager to show us her wares and to do a deal. Or the herdsman so proud of the pipe he’d made he wanted to model it. He was smoking his own home grown tobacco too and I’m not sure whether that was of the wacky baccy variety as there was a lot of that on the hillsides. Each night we arrived at a new property - pretty traditional slate roofed houses, locally owned but spruced up with modern comforts like hot showers, western loos and huge beds with crisp linens and wood burning stoves to keep us warm at night. Although simple, they were quietly sophisticated and immaculately maintained, just what you want on such a trip as five star hotel luxury would be totally out of place. We often shared the terrace with our local host, so it was a great way to really integrate in to traditional Himalayan life; a life where things seem blissfully simple from children playing games with sticks to families all pitching in to grind wheat for their bread. The trip had its fair share of luxury. For starters, it was a private affair with just us, our guide, a porter, chef and a flock of other people behind the scenes. The walks weren’t tough but did have their share of uphill lung testers so, you do have to be fit and agile - our guide got the measure of us and upscaled our walks! There are regular stops for snacks and brass cups full of sweet rhododendron juice, bright crimson and tasting a bit like Ribena. Then, as if by magic, we would arrive at a clearing where camp chairs were positioned for us to take in the view whilst enjoying our picnic lunch with no other sound than the whir of the wind through the pine trees. 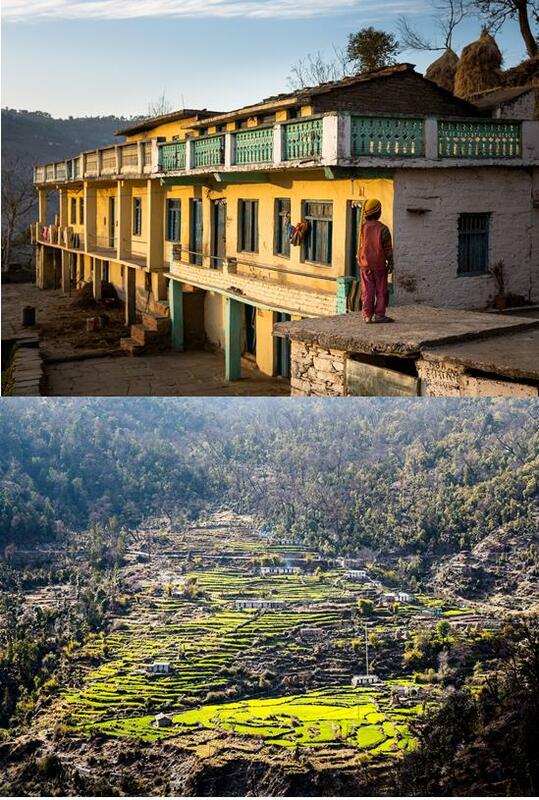 This was a unique experience where we got to see a way of mountain life that only comes from living amongst villagers, in a location few people venture to. The scenery was some of the most stunning we’ve ever set eyes on, and we’ll long remember nights sat on the terrace, G&T in hand with the outdoor fire pit warming the air, listening to the chatter of mountain life as the sky turned orange over the hills. This trip won’t be for everyone - just getting there was a long slog (5½ hours by train from Delhi and then a 4 hour drive) - and you have to be prepared to disconnect from the outside world as there’s no internet or mobile connection. But those willing to make the journey will, like us, be rewarded by an incredible adventure which we are so lucky to have experienced. Plus, we got the chance to add on something even more magical, which I'll be telling you about next month. 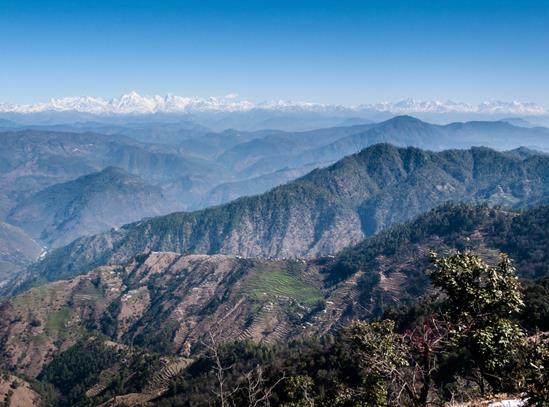 If you’d like to hear more about walking in Kumaon or have always fancied India but have just been a bit daunted, then please do get in touch - it’s a country that has so many contrasts and wonderful experiences for everyone, including families.